Traditional chemical irritants are little more than specially loaded spray cans.  ASP Defenders were specifically designed as a dispersion system for chemical irritants. Rather than filling a standard aerosol can with Oleoresin Capsicum, Defenders incorporate a proprietary container, specially produced valve system and patented dispensing mechanism. 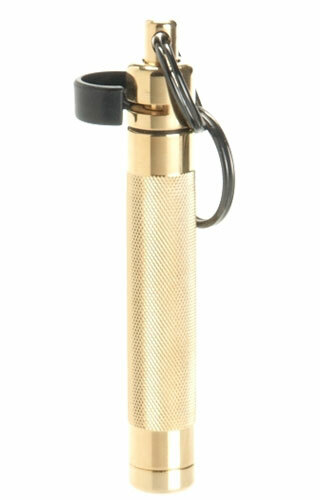 They are precision machined from aerospace aluminum and solid brass. The entire unit is o-ring sealed. 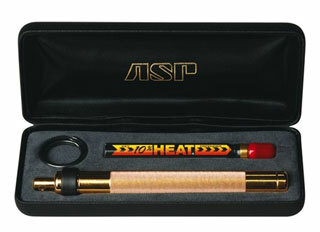 The ASP Defender Series is precision machined from high strength aerospace aluminum. They are lightweight, low profile, easily carried and devastatingly effective. Bright dip industrial anodizing is accented by an injection molded Delrin safety. 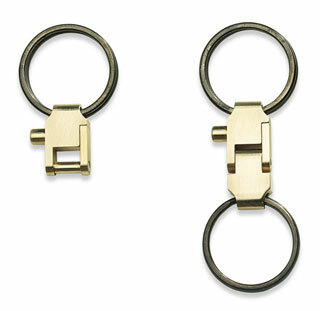 The solid brass keyring swivel retains two heat treated, black chrome plated split rings. 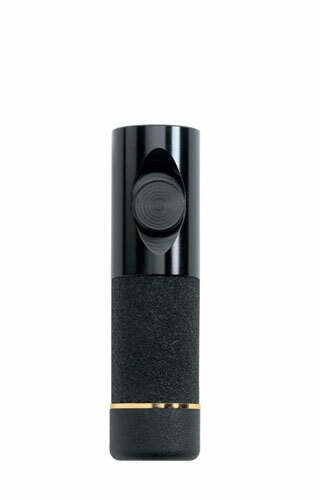 Both the dispersion tip and retention cap are o-ring sealed. The safety is positive and secure. Release requires two distinct movements. Straight line activation places a cone-shaped spray on target, even in the dark. Heat (OC) provides two million Scoville Heat Units of Oleoresin Capsicum protection. 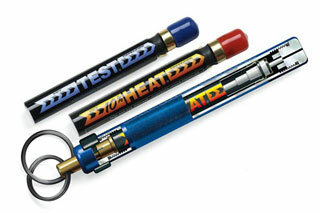 Test (Inert) Inserts allow safe training. Increased length, greater diameter and larger capacity make the Street Defender ideally suited for duty use. 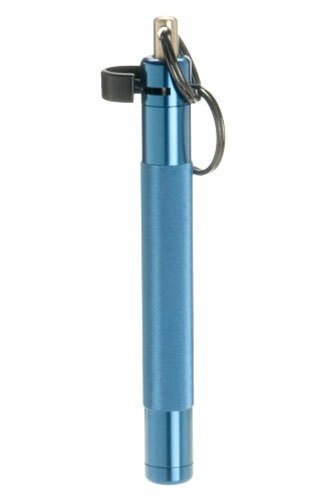 Still present are the patented features that have made Personal Defenders so popular: knurled aluminum body, premium finish, wraparound safety, replaceable Inserts, solid brass actuator and straight line activation. The premium features of the Defender Series in a configuration for the duty officer. 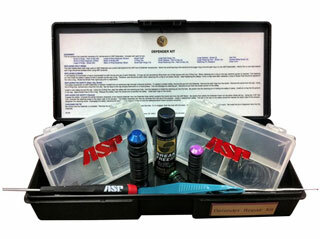 ASP Defenders may be rapidly serviced or repaired with a Maintenance Kit. A Cutaway Defender clarifies the operational principles of Defender designs. The Instructor Folio illustrates the relationship between various Defenders in the ASP family. They explain differences in length, diameter, capacity and range. 18K Gold Presentation Defenders and Prestige Cases are ideal as awards, for gifts and at recognition or retirement ceremonies. The Tactical Defender places two inconspicuous levels of force in an officer™s hand. Acceleration from pain compliance with OC to impact with the ASP Baton is rapid and effortless. Holding the Defender in the traditional ready position, the safety may be pushed off and the OC activated or the baton expanded. 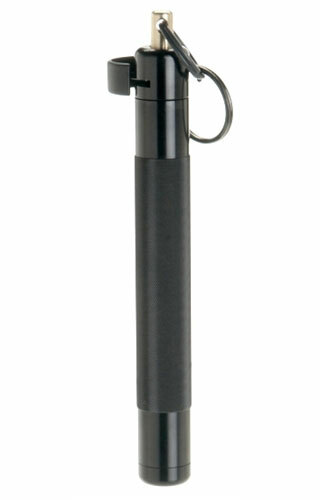 The Defender attaches to any Tactical Baton. The safety requires two distinct movements for activation. The system can use its own Inserts or Palm Defender canisters by means of a conversion tube. 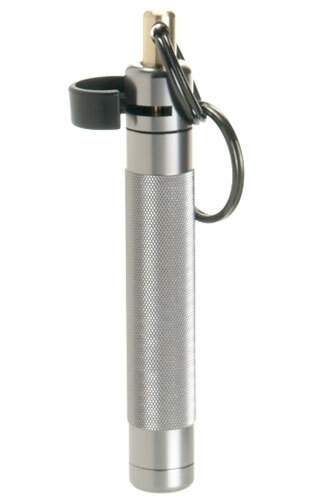 The Tactical Defender may be used with or without an attached baton.